you and your child deserve. We know how important having a great smile is to looking and feeling good. That’s why Dr. Boris Alvarez and the entire team at our Bloomfield, New Jersey dental practice is committed to providing the highest quality in family and cosmetic dentistry. Leveraging today’s latest technology, Bloomfield dentist Dr. Boris Alvarez can create results that change how you look and feel. Whether you need a routine checkup, or more advanced procedures like a smile makeover, our dental practice offers a wide variety of procedures to uniquely fit your needs. In addition, our friendly staff ensures your visit to the dentist is affordable and comfortable. 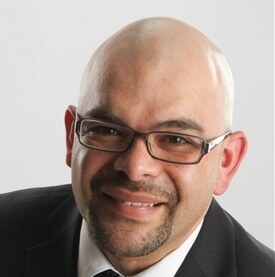 We invite you to look around our site to learn more about Dr. Boris Alvarez and our Bloomfield dental practice to see how we can be an integral part of your dental care. We know that the first step towards a beautiful smile begins with selecting a Bloomfield dentist that you can rely on. Don’t hesitate to give us a call if you have any questions, or if you would like to schedule an appointment. If you are searching for a Bloomfield family dentist or a Bloomfield cosmetic dentist – look no further, contact us today at (973) 743-3930. Congratulations to Bloomfield Dental Designs on winning the 2015 Patients' Choice Awards for Dentistry in Bloomfield, NJ. 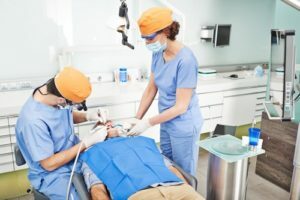 When choosing a dentist in Bloomfield, it is important to make sure they stay current with new procedures and technology as the dental industry evolves. First and foremost, we are focused on results. Bloomfield dentists Dr. Boris Alvarez understands how important your smile is to how you look and feel, and we pride ourselves on delivering the highest quality of dentistry in Bloomfield, NJ. We know that many patients are often uncomfortable when visiting the dentist. Our goal is to create an atmosphere of comfort and care for your dental treatment. Congratulations to Bloomfield Dental Designs on winning the 2015 Patients’ Choice Awards for Dentistry in Bloomfield, NJ. 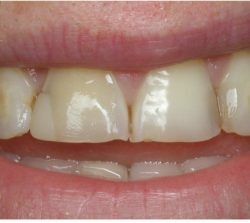 Porcelain Veneers are needed when a tooth has a significant amount of structural damage and a normal filling would not be adequate. Heavily worn teeth that have broken or that are likely to break in the near future. Dr. Alvarez is such a great doctor. Very kind and listens to his patients unlike other offices that just want your money. Had a root canal and felt nothing. Amazing Service and Attention! I was even watching Netflix while getting a root canal done. No pain or trouble. Finally a Dentist I feel comfortable going to. My first time here. Beautiful, clean and friendly office. The cleaning was profound. They were all so gentle and kind that my anxiety of having my teeth worked on was alleviated. I am excited to get the rest of the work done. Amazing first time experience. Beautiful, clean office and such a lovely staff. Looking forward to going again soon for my teeth whitening! Thank you for being so wonderful! He continued to pursue his strong interest in surgical dental procedures during a General Practice Residency at St. Joseph’s Regional Medical Center, an affiliate of Seton Hall University School of Graduate Medical Education in Paterson, New Jersey. Dr Alvarez is dedicated to provide his patients with the best dental care available in a warm and comfortable environment. During his free time, Dr. Alvarez enjoys spending time with his wife and their two sons. While he is not learning dentistry he also enjoys running, hiking, biking playing soccer and reading. With over 10 years of experience in the dental field, I have developed a strong passion for dental aid and patient care. It’s more than my job, it’s my career and I love everything about it. Especially, helping The doctor create beautiful smiles. I recently completed my degree and received my Dental Hygienist license. Soon I will be helping Dr. Alvarez with cleanings. “Be true to your teeth, and they won’t be false to you.” This a simple dental-related quote from the late comedian, Soupy Sales, that families should certainly remember. While going to the dentist on a regular basis takes time and money, the result—being able to keep strong, pearly teeth well into your old age—is certainly better than getting cracked crowns and wearing expensive dentures or getting implants. One way you can guarantee your family’s good dental health is by having a family dentist. Finding an affordable dentist is crucial for many people. However, you should never risk you dental health just to get cheap services. 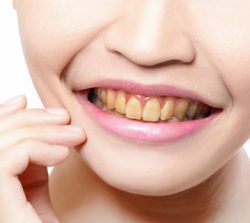 Remember that in the long run, it will be you and your beloved family who will suffer from having poorly-maintained teeth, so you must carefully choose your dentist. That said, you must look for a dentist who constantly strive to advance and stay current in his field. Don’t just look for a diploma. Ask your prospective dentists if they have taken advance training or are participating in continuing education. Also take note of how long they have been pursuing this career, what kind of cases they have handled, and the like. For a relationship to thrive, there must be respect, trust, and comfort. That means you and your family must feel comfortable with the clinic you choose. The environment should put you at ease, and the staff must be amiable, providing clear answers to your needs and engaging children to prepare them for their check-ups. Throughout the years, your family will require different types of dental services, so it will be beneficial to find a family dentist or clinic that provides an array of services and specialties. 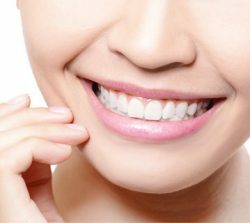 Some of the most important ones to look for are the following: pedodontist (pediatric dentist), endodontist (focuses on dental pulp/tooth core), orthodontist (specializes in jaw aligning and teeth positioning), and implant dentist in Bloomfield, NJ. Dental accidents happen, but you will never know when. 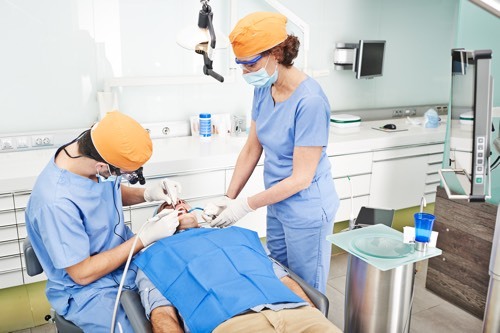 At such times, you must not be frantic, thinking “I should find dentists near me!” You should already be assured that your family dentist will be able to accommodate you and get your problems solved as soon as possible. It’s normal for dental emergencies to be dealt with within two days, unless other unforeseen events occurred in the clinic. Most of use utilizes an insurance plan when availing dental services. Before choosing a family dentist, you have to make sure that your prospect accepts your family’s insurance plan. It will also be wise to compare different payment, co-payment, and discount options that the clinic offers. Are you looking for a great family dentist in Bloomfield, New Jersey? Then look no further! 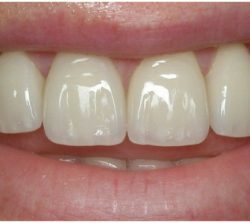 Bloomfield Dental Designs provide excellent services using the most advanced technology to give you the brightest smile. Call us at (973) 743-3930 or fill out the form to book an appointment today! Are you looking for a quality and affordable dentist?